The Fall of the House of Usher and Other Writings is a collection that displays the full force of Edgar Allen Poe's mastery of both Gothic horror and the short story form. This Penguin Classics edition is edited with an introduction and notes by David Galloway. 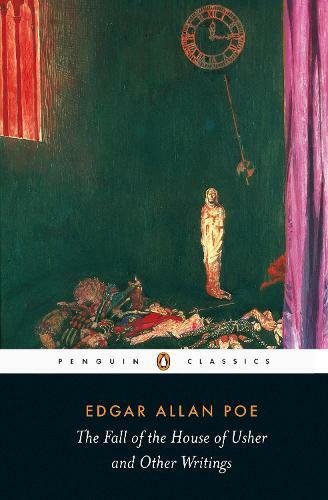 This selection of Poe's critical writings, short fiction and poetry demonstrates his intense interest in aesthetic issues, and the astonishing power and imagination with which he probed the darkest corners of the human mind. 'The Fall of the House of Usher' is a slow-burning Gothic horror, describing the final hours of a family tormented by tragedy and the legacy of the past. In 'The Tell-Tale Heart', a murderer's insane delusions threaten to betray him, while stories such as 'The Pit and the Pendulum', 'The Raven' and 'The Cask of Amontillado' explore extreme states of decadence, fear and hate. In his introduction David Galloway re-examines the myths surrounding Poe's life and reputation. This edition includes a new chronology and suggestions for further reading. Although dissipated in his youth and plagued by mental instability towards the end of his life, Boston-born Edgar Allan Poe (1809-49) had a variety of occupations, including service in the US army and magazine editor, as well as his remarkable literary output. If you enjoyed The Fall of the House of Usher, you might like Horace Walpole's The Castle of Otranto, also available in Penguin Classics.